1) the leaders are in charge for only 1 month and it's a too small period to organize something so important like our plan. 2) in erepublik in most cases there is no continuity of policy, every CP change every month. So, we have only a way to do it: before think to create the coalition of nations we have to start a world politically movement. The movement in my mind is formed by a party in every countries, (eWorld Peace Movement Switzerland, eWorld Peace Movement italy, eWorld Peace Movement USA....) the parties have a common direction and of course common principles, methos and purposes (see our manifesto). For the first time in erepublik the parties will have a real program and something something to fight for. Today the only difference between the different parties is an adjective without a real sense given by the PP (far-left, far-right....). But finally there are not real differences between a far right party and a far left party. 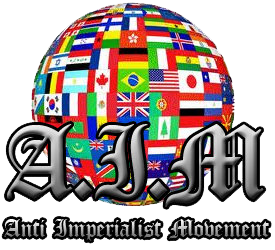 With our movement we will have a party with a real purpose: the anti imperialism!!! With this idea the political struggle will reach a new dimension and of course a new sense! i think we sould start some parties in some imperialist countries, for example Spain, USA, South American countries, Canada. For the momento I think these can be good countries to start and develop the movement that can after a consolidation start also in the balcanian countries. Please let me know your opinion and let's see what can we do...I'm thinking to leave eSwitzerland to go in a new country to start the movement, I'll be back at home just when the mission will be started. Well you are right ! and an additional way is to figure out a way to convince: ONE; terra; eden; etc., that this is the new future of eRep and get them involved. Their alliances are all self-limiting. they come and go with time but this could be their new futures. and then we can work on the MU's. but you are totally right... the first thing is partys. the cost of a party is still 40 gold? By the way we could also take an unused party renaming it. About the second proposal I dont trust on the big alliances, they are too slow tot ake decision due to their bureaucracy. I think that a popular movement is the only way. I know this is premature, but I'd like to start thinking of names for the new parties. you're pretty smart for an Italian. I'd like to see what you write to friends so I can copy you. piensas qe te pueda interesar? dont use google translate you have to learn your mother language!!! If i may say, think it would be easier to start this movement on small and neutral countries. I´ve lived in Spain, the Philippines and Mexico and certainly the country in which the movement would be faster developed is in the second one. Spain is a country politicaly very complex, both in RL and in the game. In Philippines usually rule the RSP, a Turkish anti-imperialist party. In Mexico several companions are trying to start an anti-imperialist anarchist movement. What I mean is that maybe you could think about make contact with like-minded parties rather than directly create the aim. Forgive for my English, it is as bad as your Spanish.